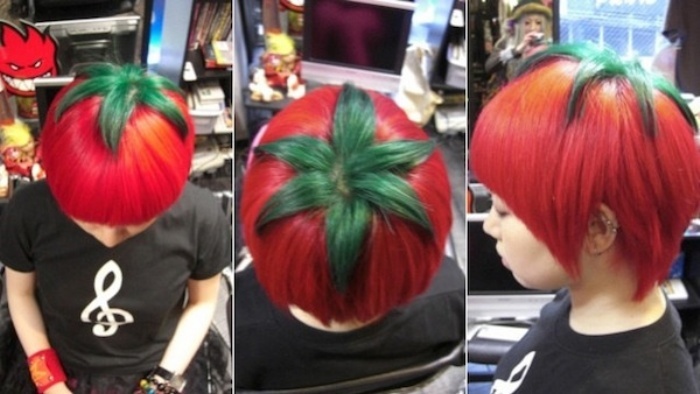 'Ripe Tomato' Haircut: Now You Can Be a Literal Veg Head | OhGizmo! The hairstyle is basically features a layered cut and a colorful dye job to turn people’s heads into giant man-tomatoes. Oh, the crazy things Japanese hairstylists come up with sometimes.